2018 is coming to an end and before it passes we have some movies to go through. Recently movies have been doing really well on the box office, Fantastic Beasts: The Crimes of Grindlewald scored $253 million globally on it’s opening weekend last week while the week before that The Grinch scored big as well as it snatched $67.5 million in just USA. Keeping up with the momentum and hoping to score big, here are this week’s highly anticipated big budget openers. 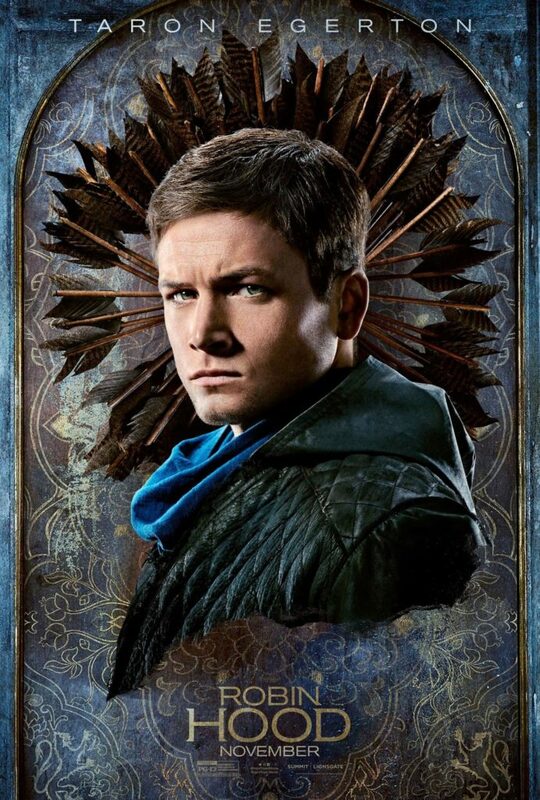 Robin Hood has been done before, in 1991 came Kevin Costner starer Robin Hood: Prince of Thieves, then came Robin Hood (2010) starring Russell Crowe and many before them and now Taron Egerton (Kingsman) is taking on the role of the legendary archer. Also starring in the movie is Academy Award Winner Jamie Foxx as Little John. The previous movies didn’t make that much of an impact on the audiences as hoped. Let’s see what this modern version directed by Otto Bathurst (Peaky Blinders) brings to the table. 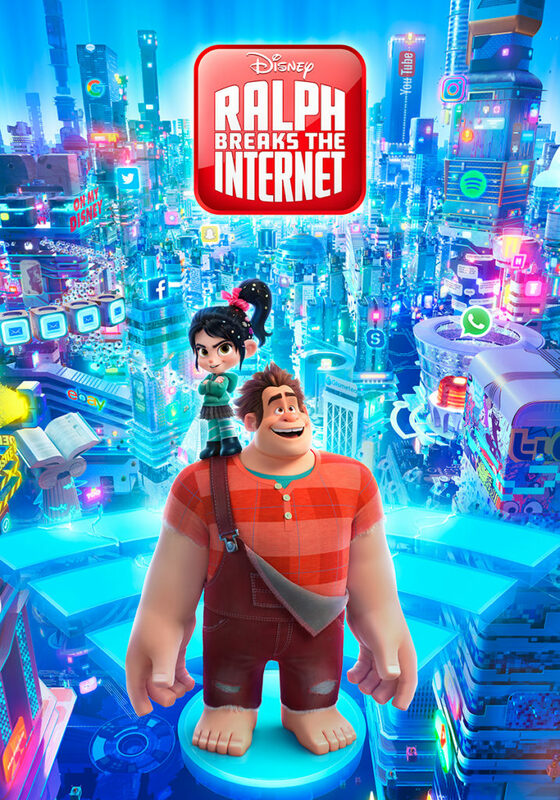 Wreck it Ralph was a massive success when it came out in 2012. This wonderfully colorful movie was filled with fun and amazing voice acting by a genius cast of John C. Riley and Sarah Silverman, Co-stars Jack McBrayer and Jane Lynch were amazing as well. The sequel brings our gaming characters back with a few new cast members such as Gal Gadot and Taraji O. Henson. The same team of Phil Johnston and Rich Moore, that brought us the first movie is responsible for the sequel as well. High hopes all around and can’t wait for the crazy 3D fun. Opens in theaters on November 21, 2018. Rocky Saga has always been a classic for the movie lovers since the first movie written by Sly himself came on to the scene. 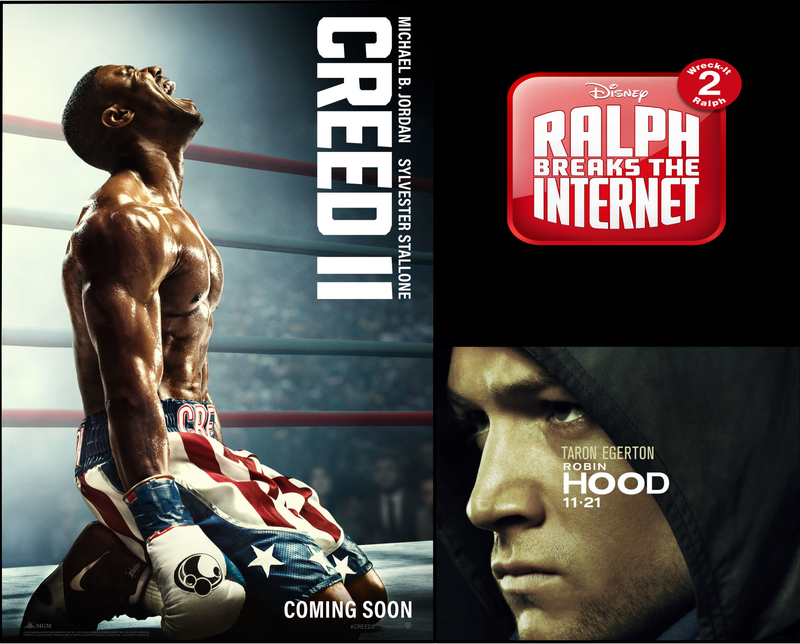 A young Philly boy realizes his dream when he goes toe to toe with the heavy weight champion Creed. Years later when Creed’s son shows up at the old Rocky’s door, it brings them both a much needed appreciation for what they have been missing. Young Creed ends up making a name for himself under the tutelage of Rocky. 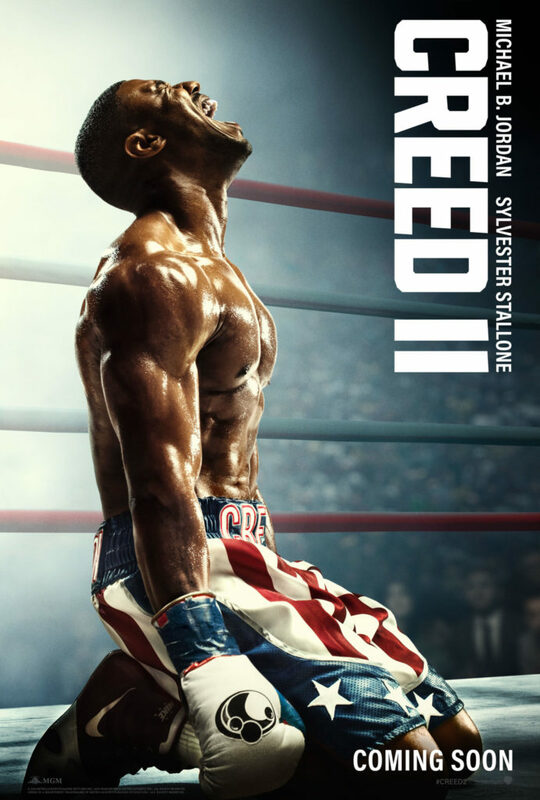 An old rival of his father’s returns to challenge Adonis Creed. Viktor Drago, son of Ivan Drago will face Adonis in a fight to oblivion, the same Ivan Drago who killed Creed’s father. 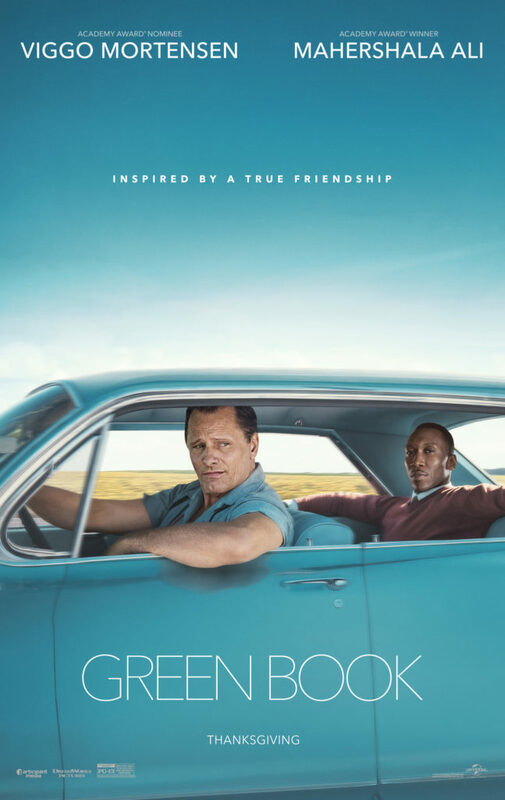 Oscar winner Mahershala Ali (Moonlight) and 2 Time Oscar nominee Viggo Mortensen (Lord of the Rings) star in an inspired by true events story from the 1960s American South. A story about a working-class Italian American bouncer who becomes driver to an African American Classical pianist on a tour of venues through the South. At a time when racism was open and tolerated, a friendship between two unlikely men and their story, that happens to be true is a must not miss sort of a deal. Two powerful actors and one heck of a story.